Stack and heap in Java? Why is Java platform independent ? Where dows everything live ? Before we create an object it makes sense to understand where things live and how long they live for. Two areas of memory to care about : one where objects live(The Heap) and the one where methods invocations and local variables live(the stack). What happens when a JVM Starts Up? 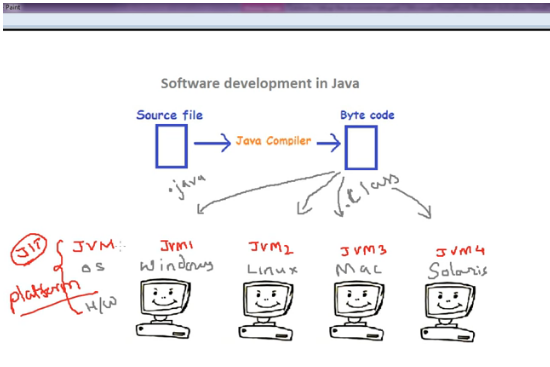 1).When a JVM starts up, it gets a chunk of memory from the underlying OS and it uses it to run your java program. 2).How much memory dows it get? That depends on your version of the JVM(and on which platform). 3).Usually you won't have to care about how much menory it gets. 4).All objects are garbage-collectable on the heap. Instance varibales are declared inside a class but not inside a method. They represent each individual field that an object has. Local variables are declared inside a method, including method parameters. They are temporary, therefore they only live as long as the method is on the stack --in other words, as long as method has not reached the closing curly brace. prepocessor use to process the source file and the lines which start from #(like include studio etc) and now after preprocessing all the lines which starts from # will be replaces by some code. 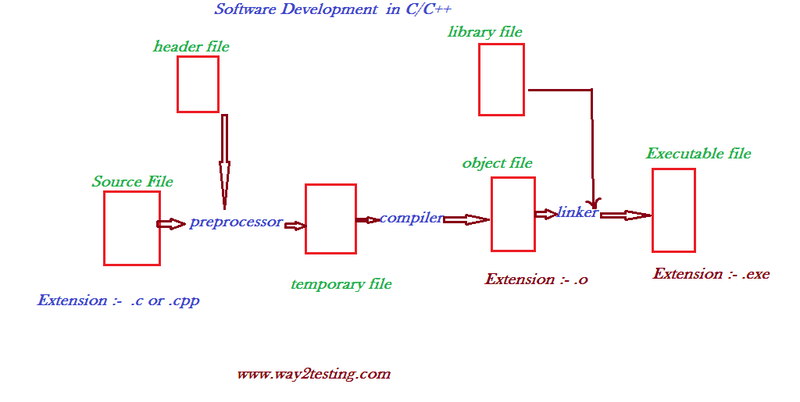 Now compiler will read this temporary file and will convert it in object file, and then linker will come into existence and it will link library files to object file and will create .exe file. Remember : All the functions are coded with in library file and declaration is in header file. The best feature of java is that it is platform independent. Platform independent means writing codes in one operating System "Windows XP" and executing that code on another platform 'Linux'. Bytecode : Bytecode is the machine language of the Java Virtual Machine by using bytecode execution java proves it's a platform Independent Language. 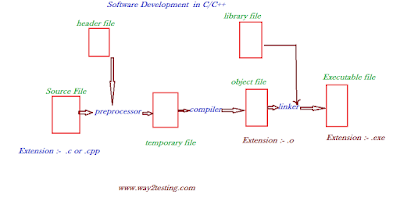 Java Compiler : Java Compiler convert the Source code to Byte code. Java Virtual Machine (JVM) : JVM have Java Interpreter & JIT Compiler and JVM converts byte code .class to executable code object file(.obj file), this .obj file use to generate the Output. 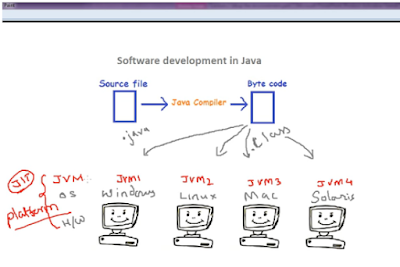 Different types of JVM available on different operating System. Using this JVM same .class file can run on various platforms. What is meant by JIT Compiler ? JIT Compiler is a compiler that converts program source code into native machine code just before running the program. It is Faster and more efficient to perform huge application. Core Java is the basic knowledge and pre-requisites to learn Selenium. Thank you for your guidance. keep Share more useful post. Great site for the post and I am seeing the most of contents have useful for my Career. Thanks to such a useful information. Thanks for sharing this blog post. it gives more useful information about java. Thanks to proceeding wonderful guidance about core java. Also, I have realized how this is supportive of selenium development. I had already bookmarked this blog while writing this. Good Blog with very interesting way of explaining things. Thanks for sharing with us. Really appreciated. Hadoop is a tool utilized broadly in big data analysis, encouraged with the system of PCs sorted out to tackle issues including an enormous measure of information and calculation. Get Hadoop Training in Bangalore with certification by the assistance of specialists and get complete knowledge over the technology.